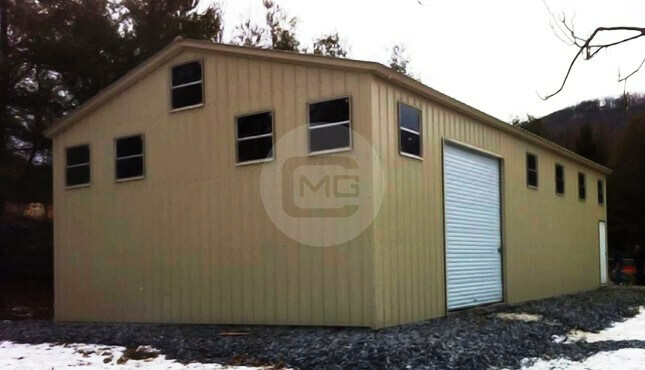 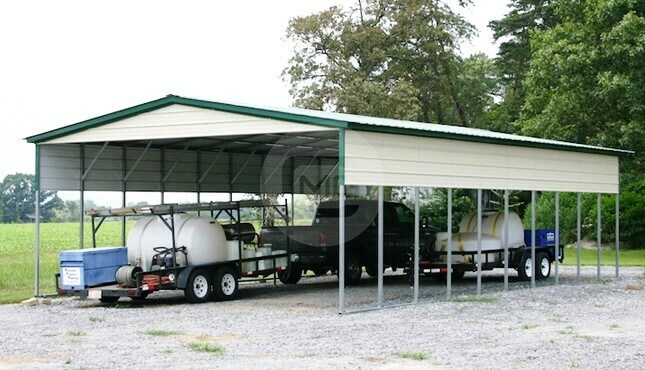 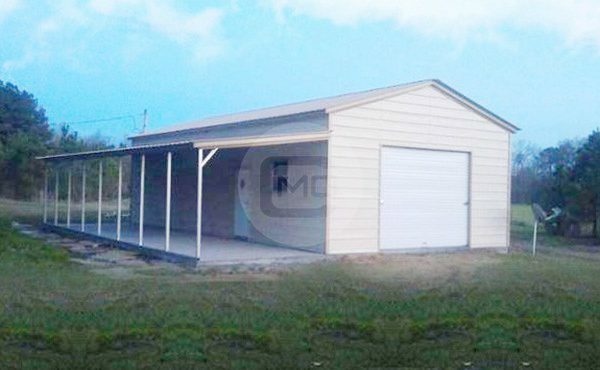 This 20x41x10′ enclosed workshop with lean-to is made from 14-gauge steel and has one 10×8′ garage door, one walk-in door, and two windows. 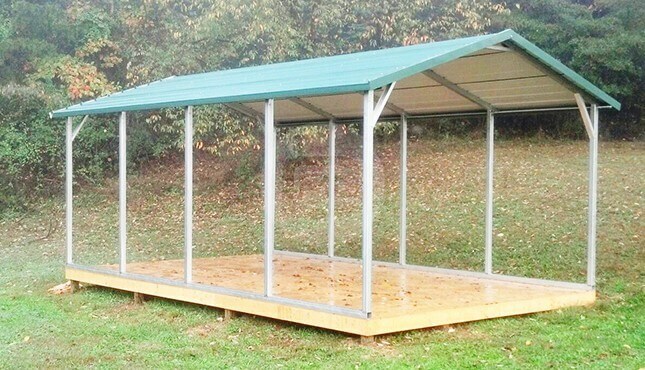 The lean-to measures out at 12x41x7′ and is an ideal shelter for working out in the fresh air without being subject to the elements. 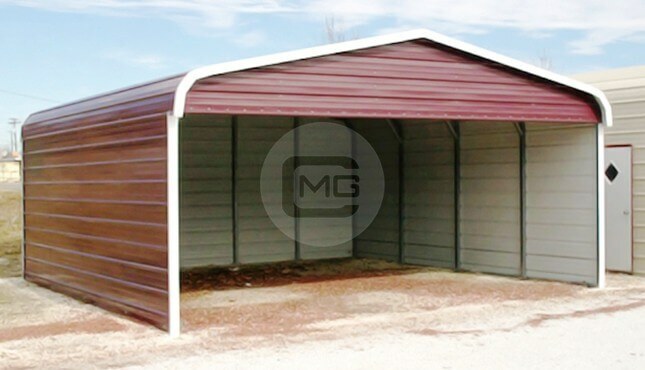 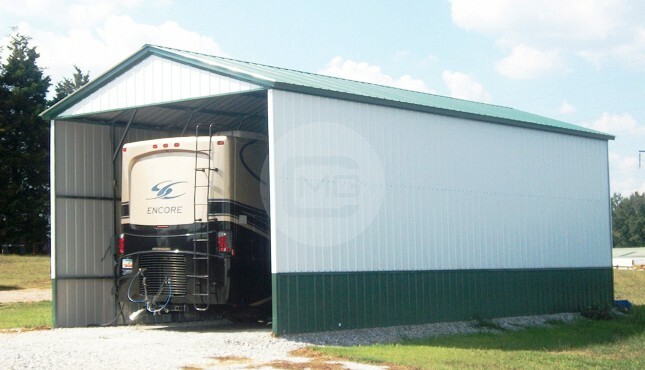 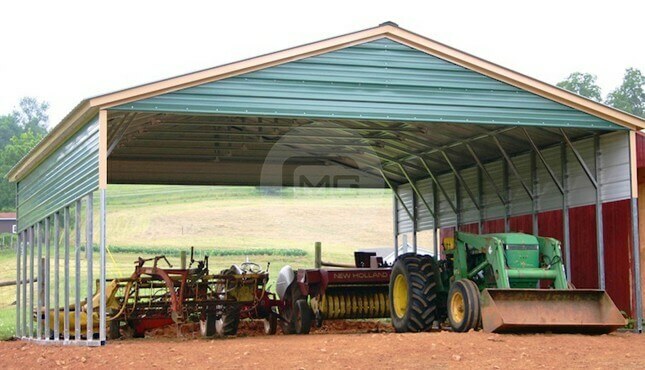 The side panels are horizontal and it has a vertical roof, which is ideal for areas with high wind and snow loads. 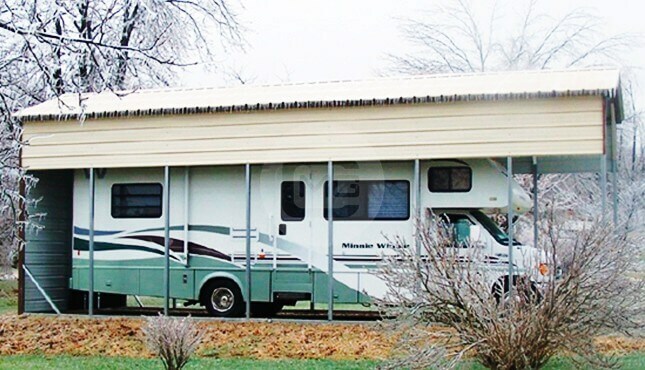 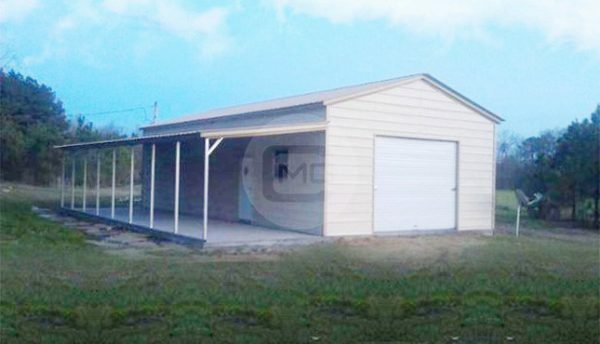 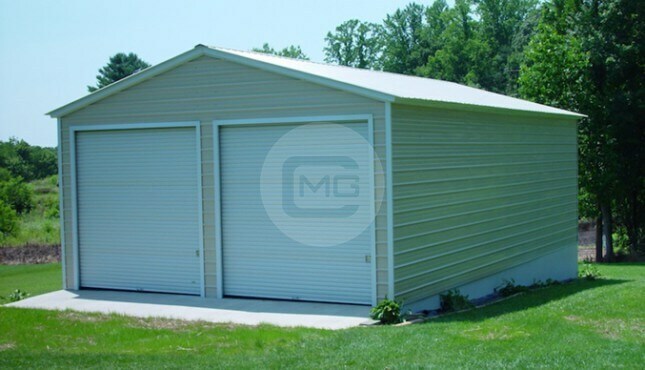 With its large garage door to accommodate large equipment, a walk-in door for easy access, and windows to provide natural lighting, this is a great workspace for hobbies, car repair, woodworking and more.